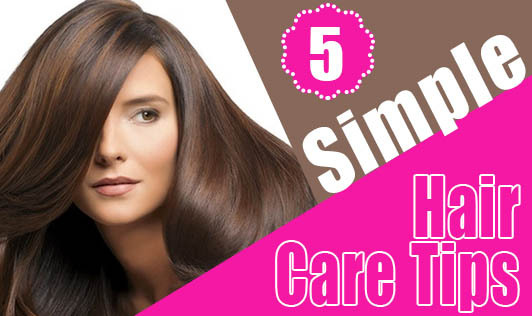 Listed here are 5 mistakes in hair care and 5 simple tips to take care of your hair. Tying your hair too tight with a rubber band or clip. Using rusted hair clips to pin flowers or for hair decoration. Not cleaning your comb regularly. Using hair dryers or other hair gadgets frequently. Applying dye or henna (mehendi) or colors without finding out what suits you. Wash your hair frequently with a mild shampoo that suits you. Pat your hair dry after a wash; do not rub vigorously. Comb / brush your hair gently at least once a day to prevent tangling.